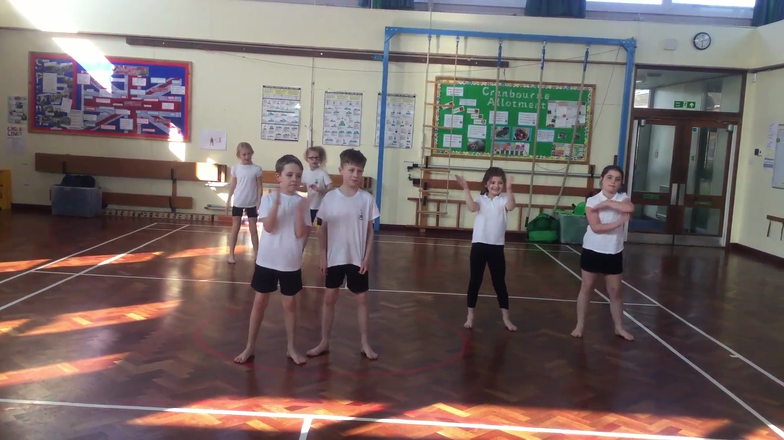 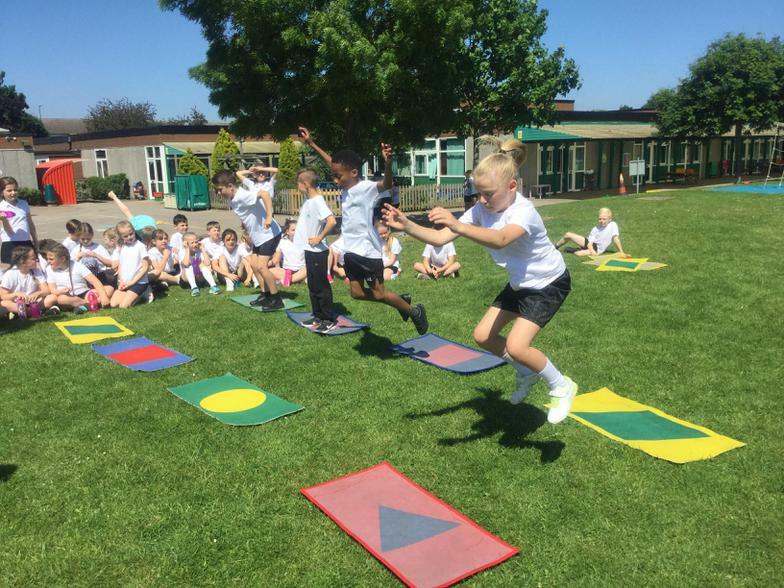 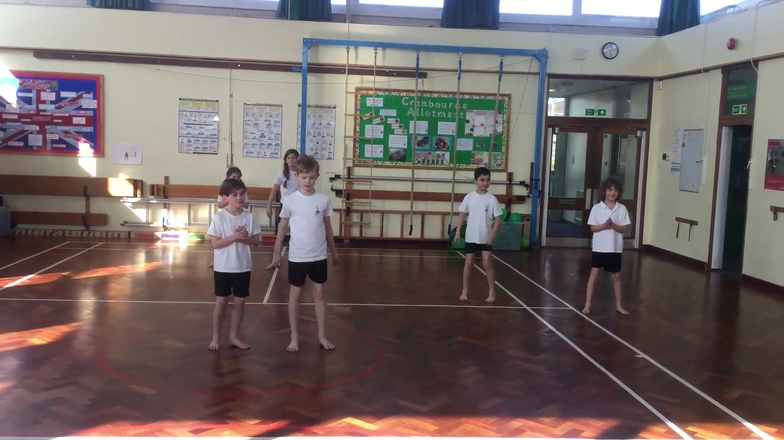 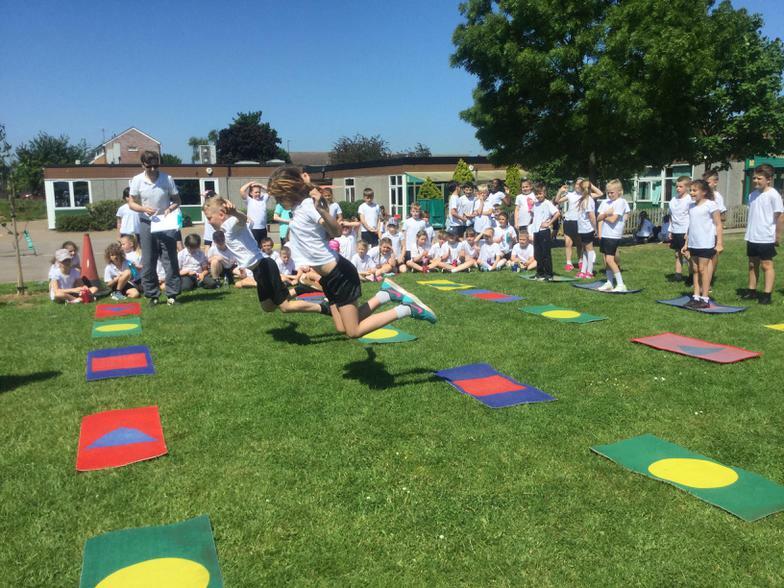 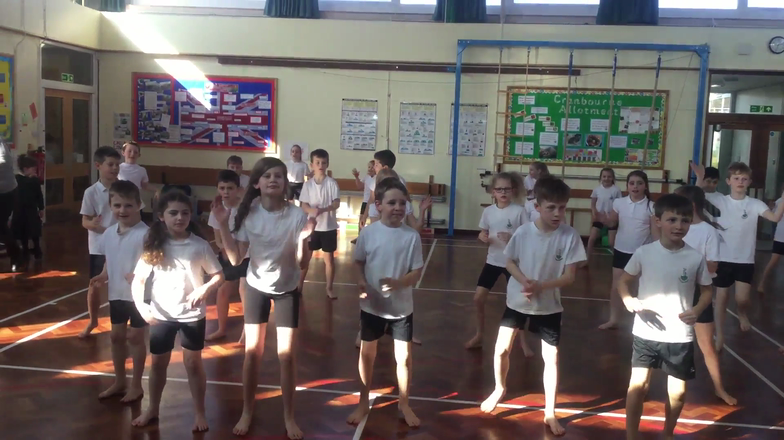 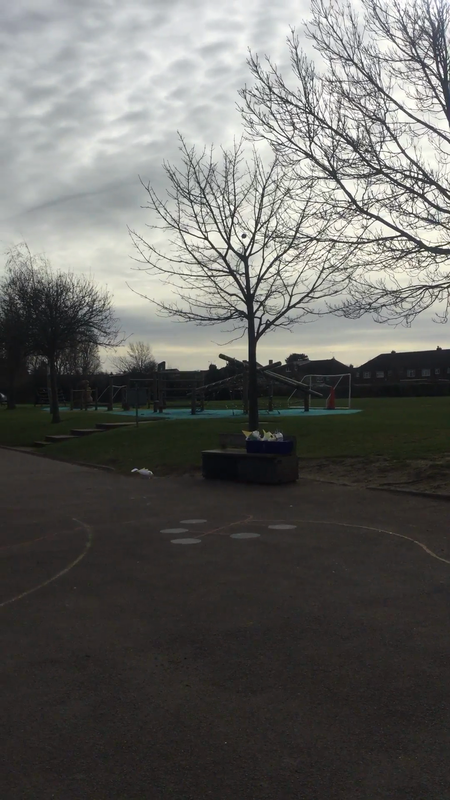 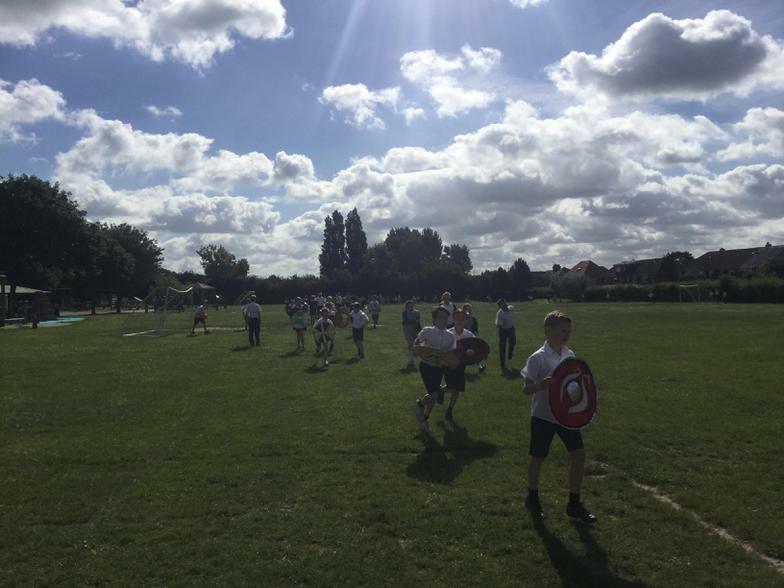 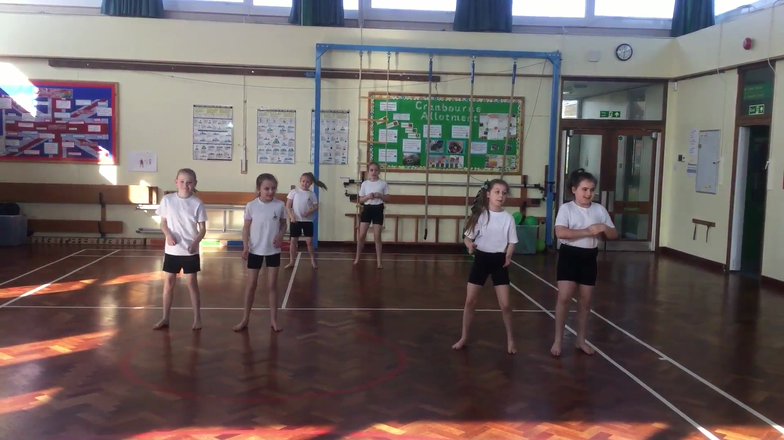 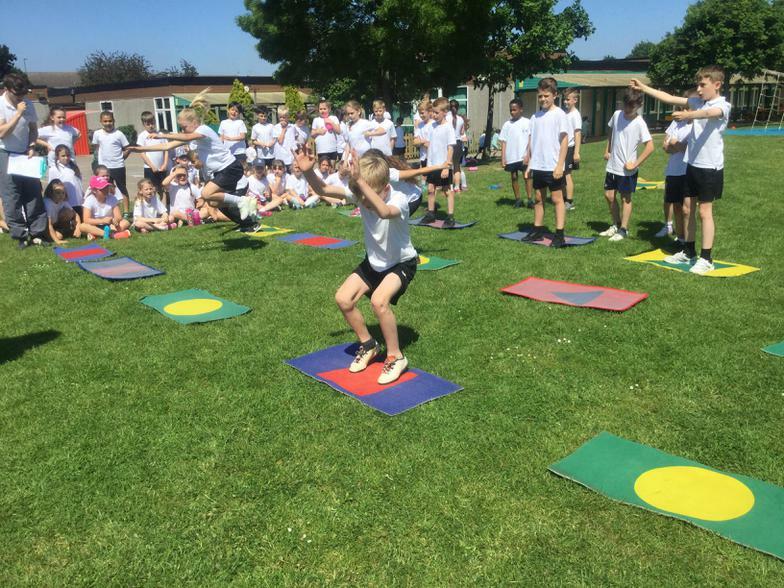 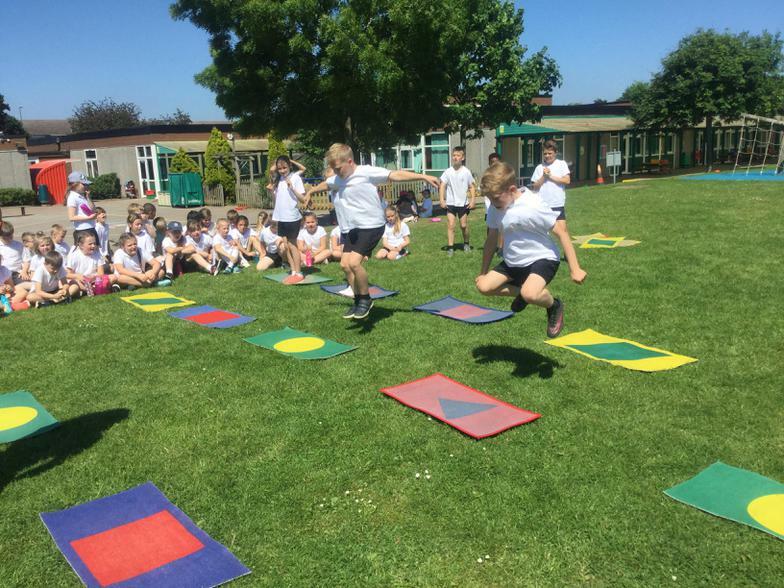 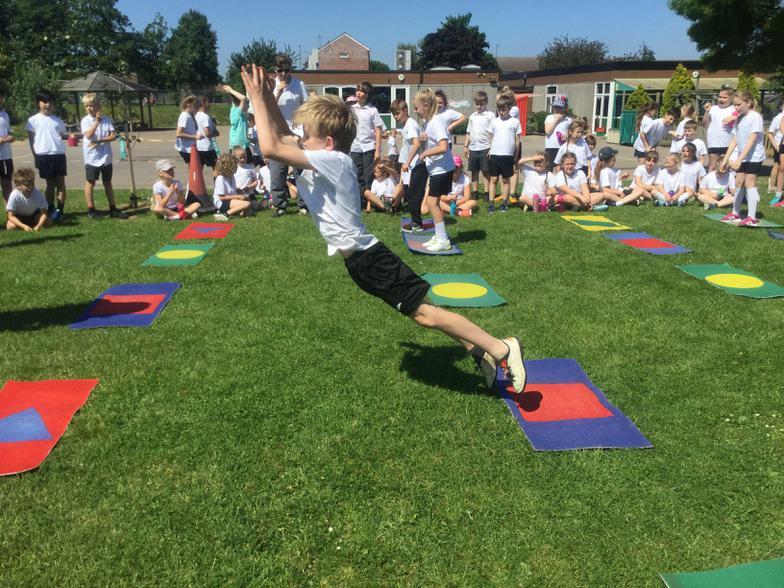 Year 4 Jumping Competition Results! 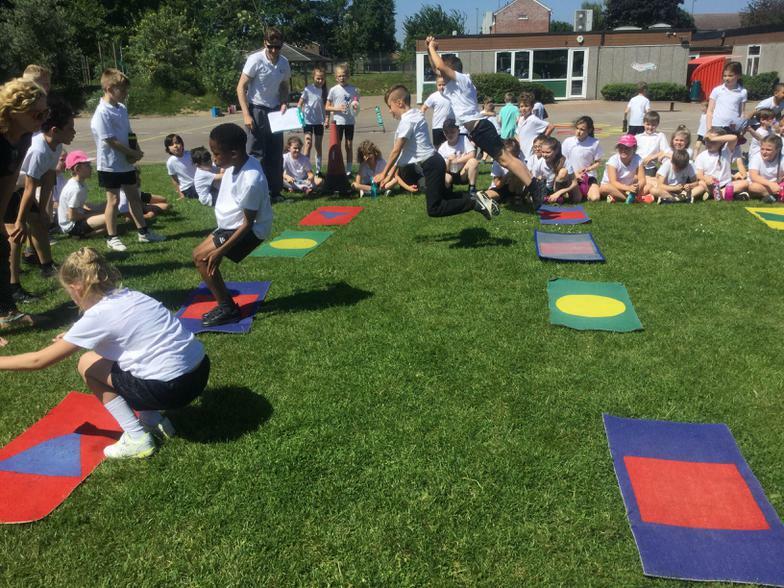 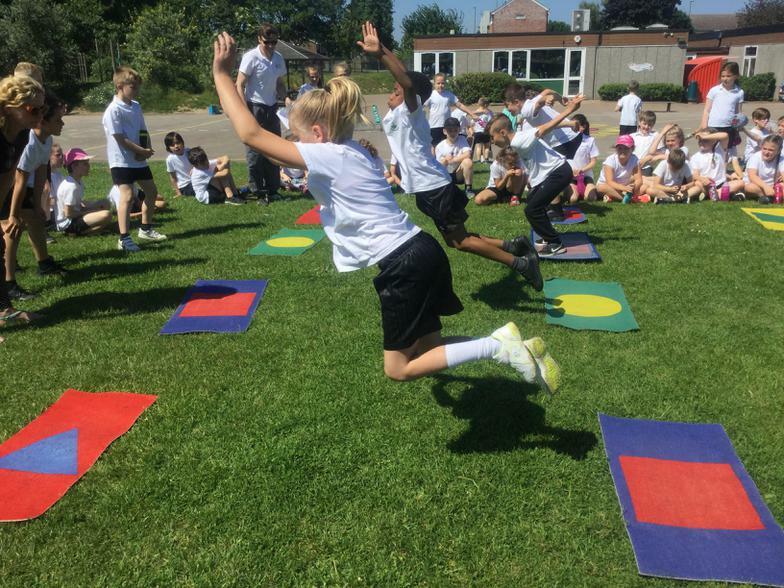 Year 4 Jumping Competition for Sports Day! 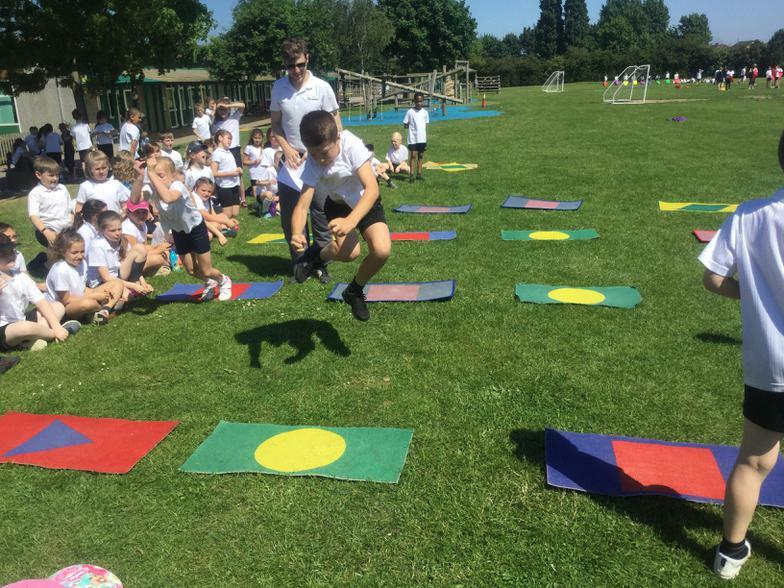 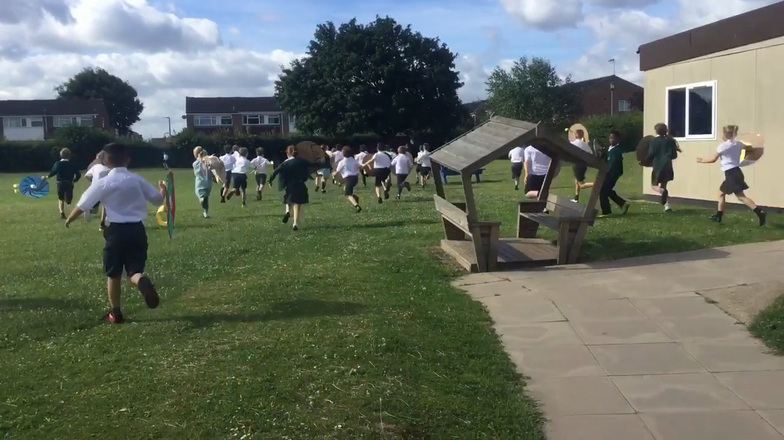 Year 4 Throwing Competition for Sports Day! 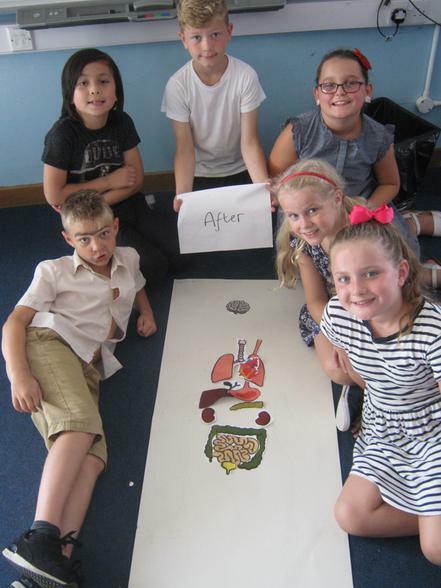 1st - Abi, 2nd - Jack and 3rd place - Ellie! 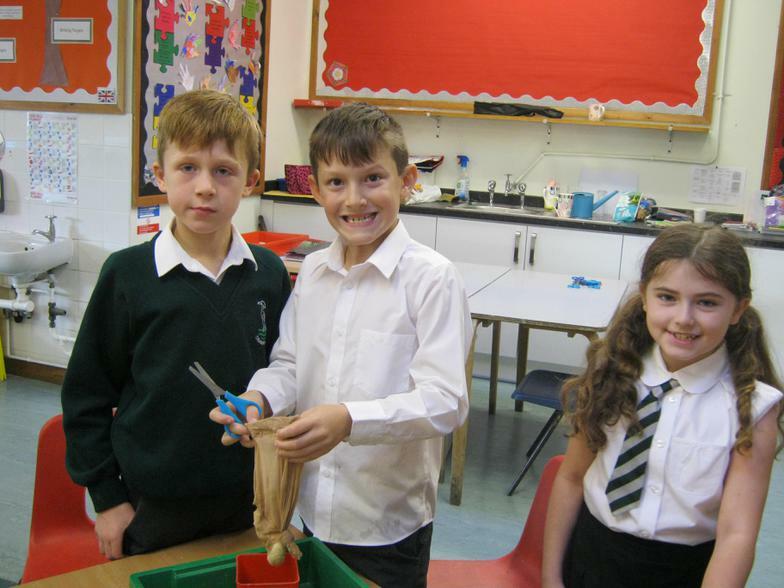 4th - George, 5th - Callum and 6th place - Sophie! 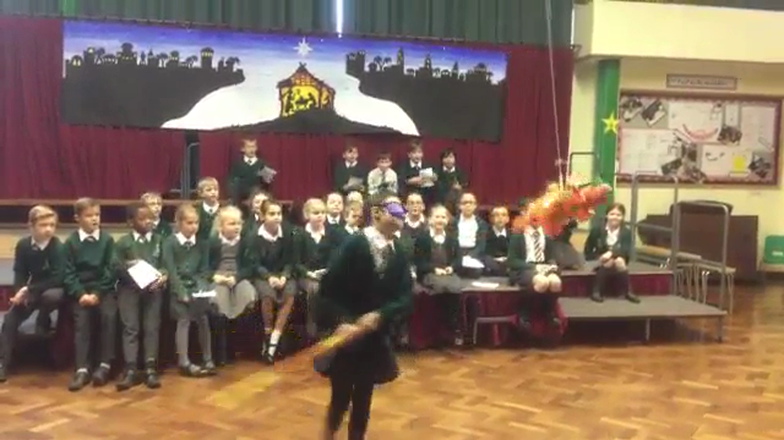 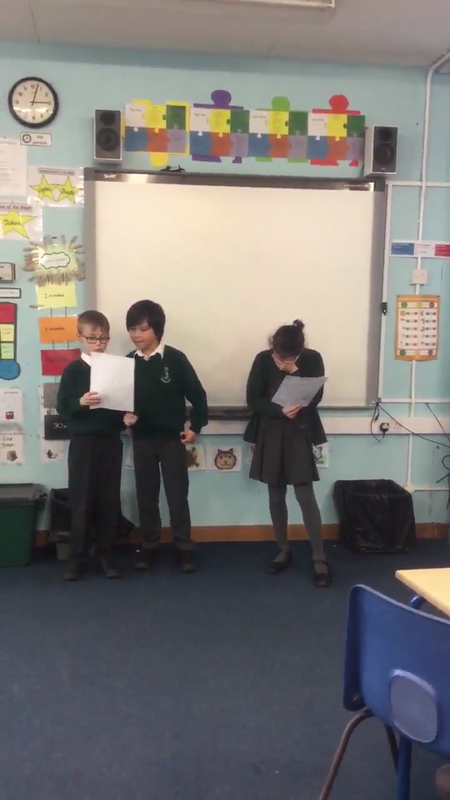 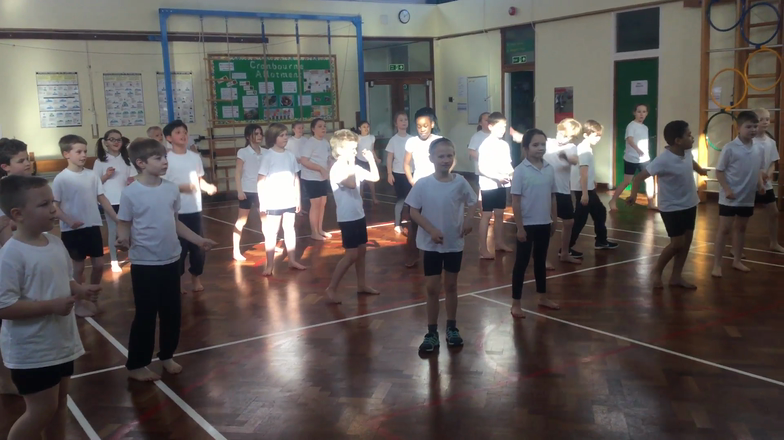 Year 4 have been practising their French by performing a french version of Cinderella. 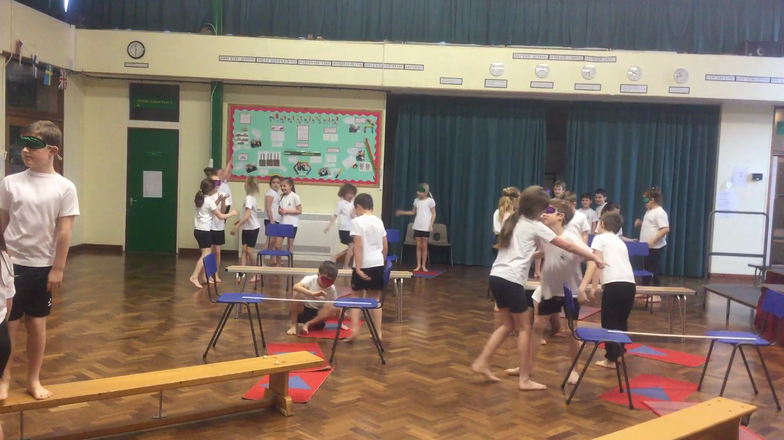 4SE had fun on a blindfolded assault course, they had to trust their partner to give them the correct instructions. 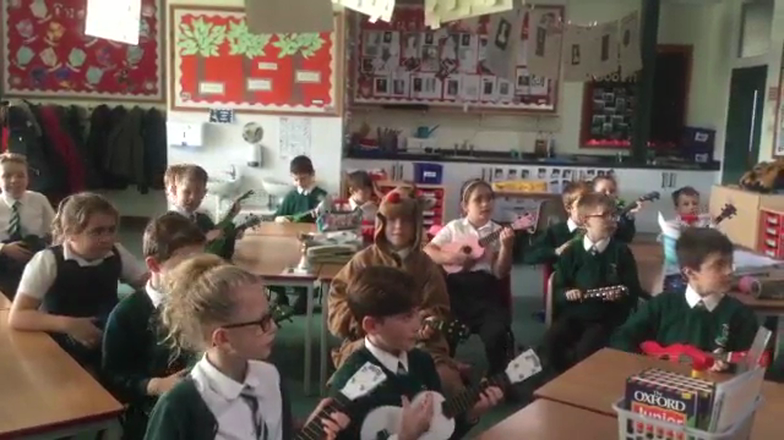 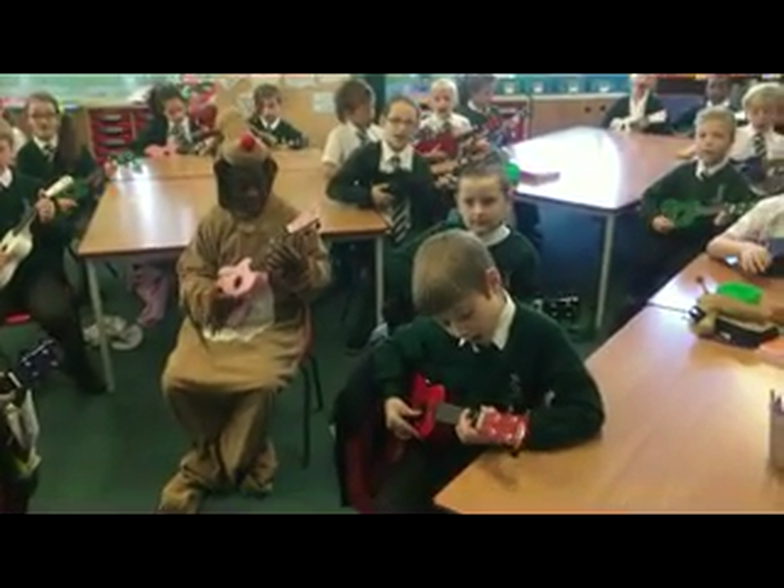 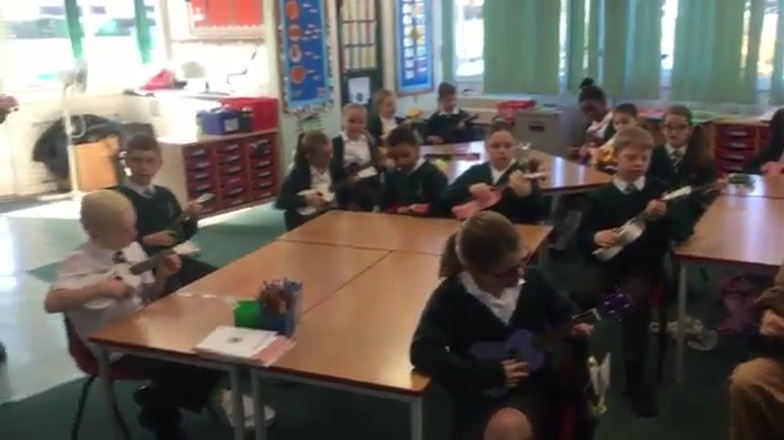 The children have been learning to play 'Rudolph the Red-nosed Reindeer' on the Ukulele. 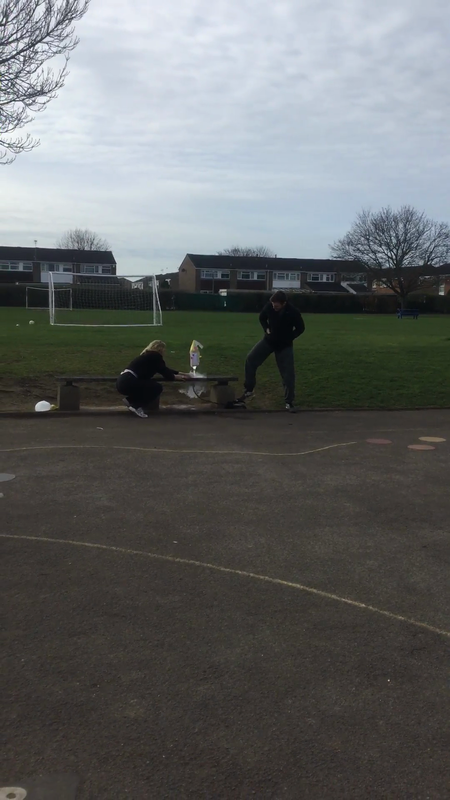 Haven't they done well? 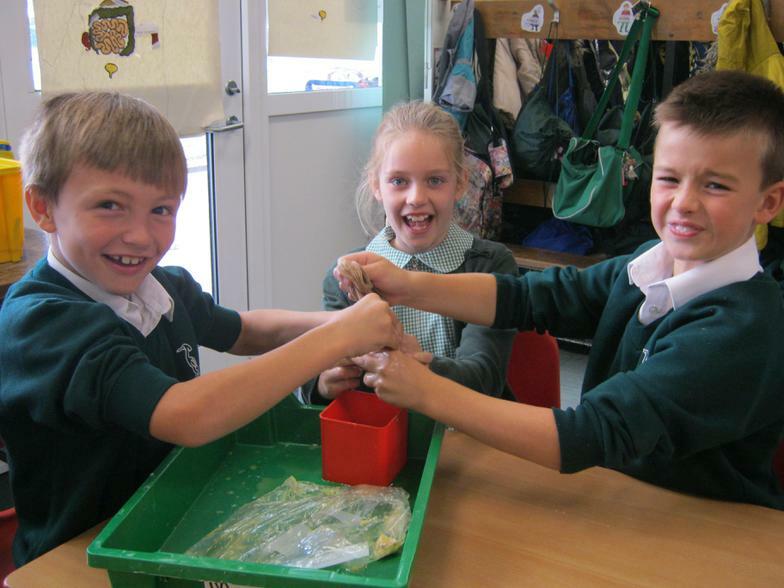 In Science this week, we have been investigating the effects of sugar on teeth. 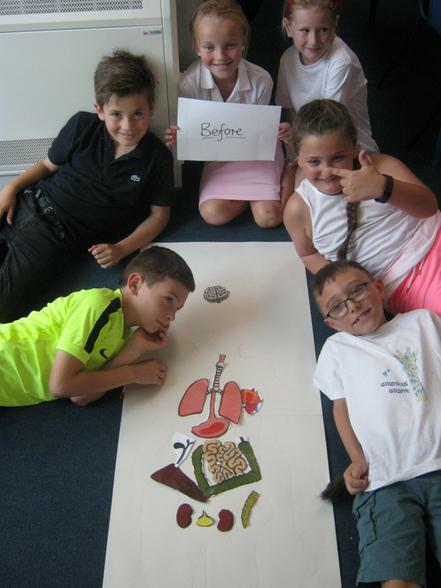 Year 4 have been thinking about the location and function of our vital organs. 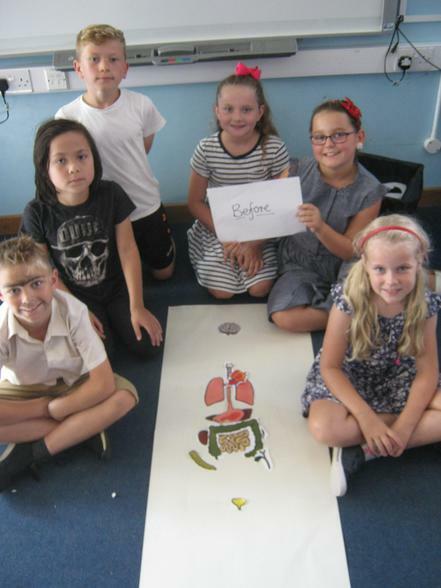 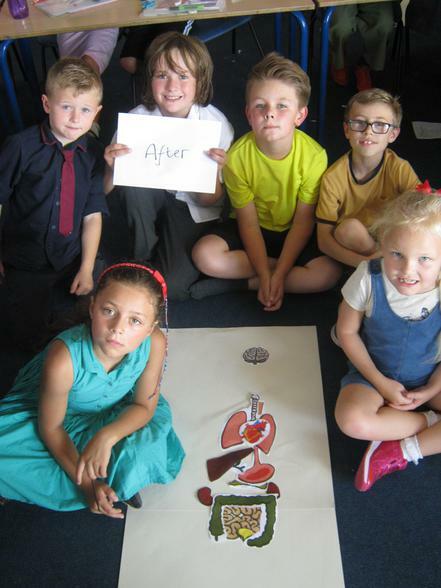 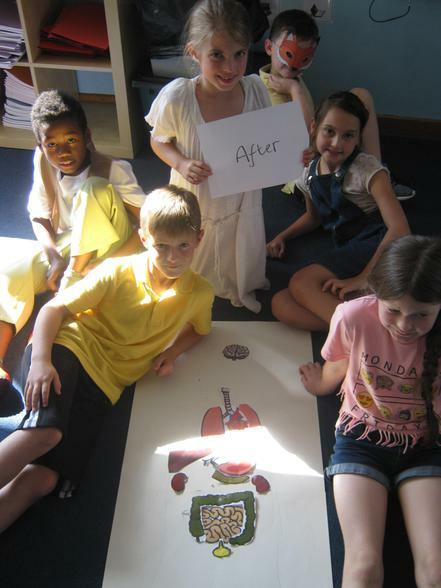 To see what the children already knew, we asked them to place the organs where they thought the were in our body. 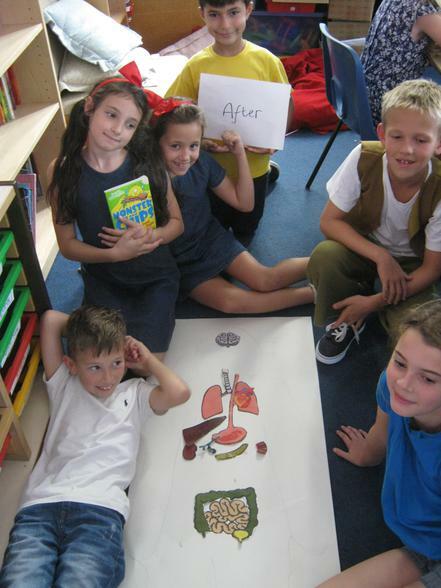 Then, after a lot of learning, we rearranged our pictures to make them more scientifically accurate. 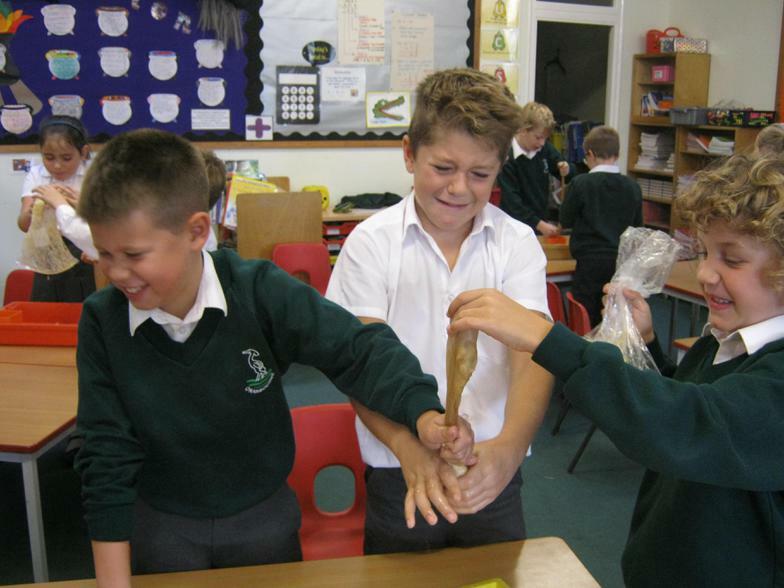 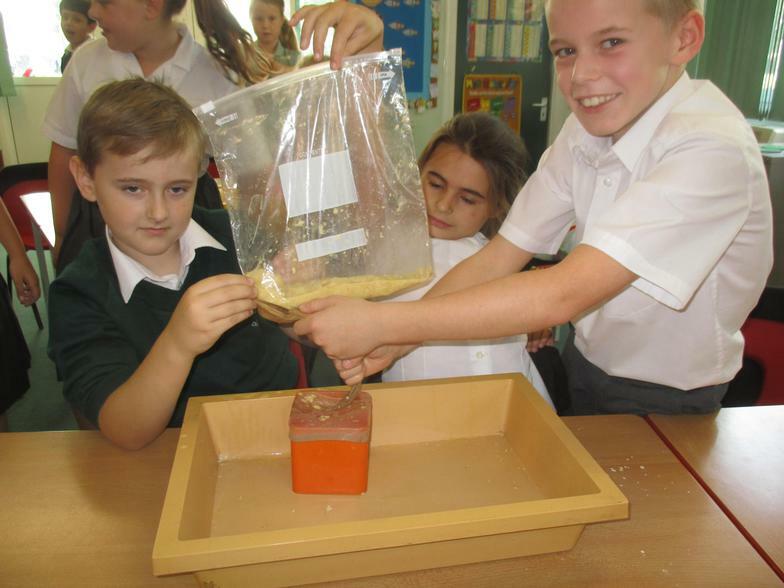 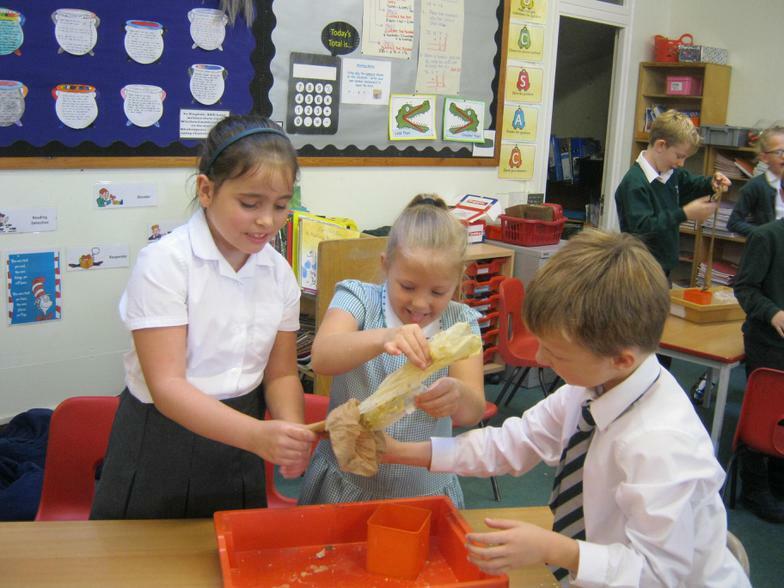 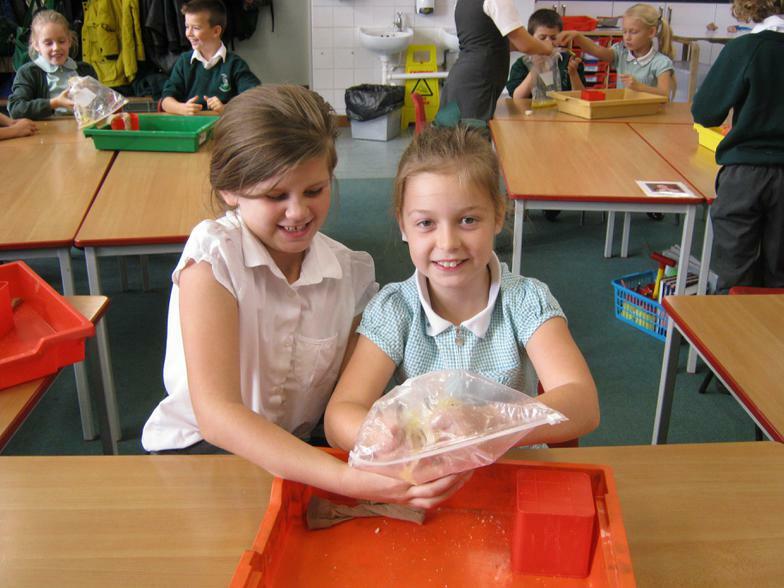 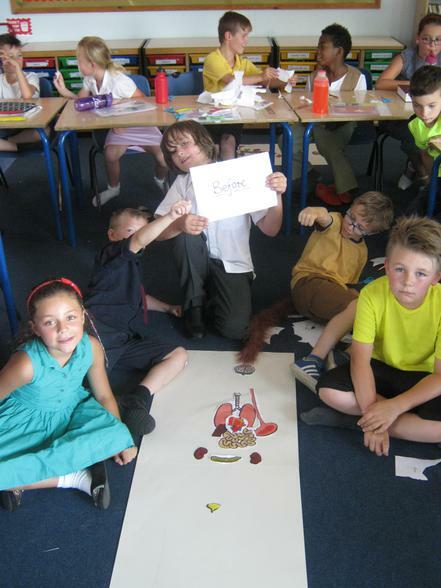 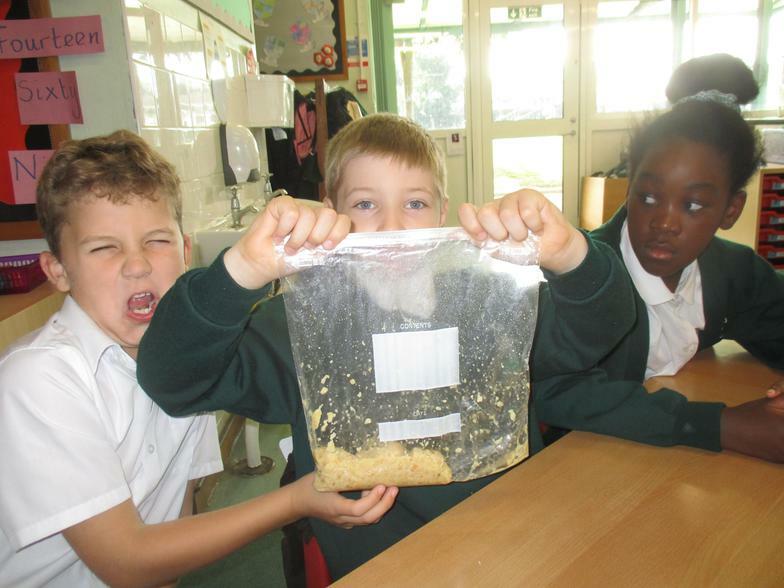 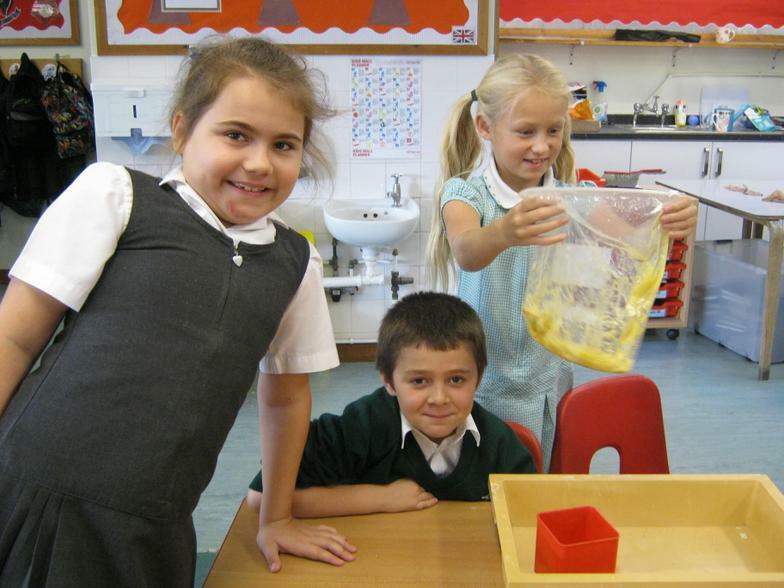 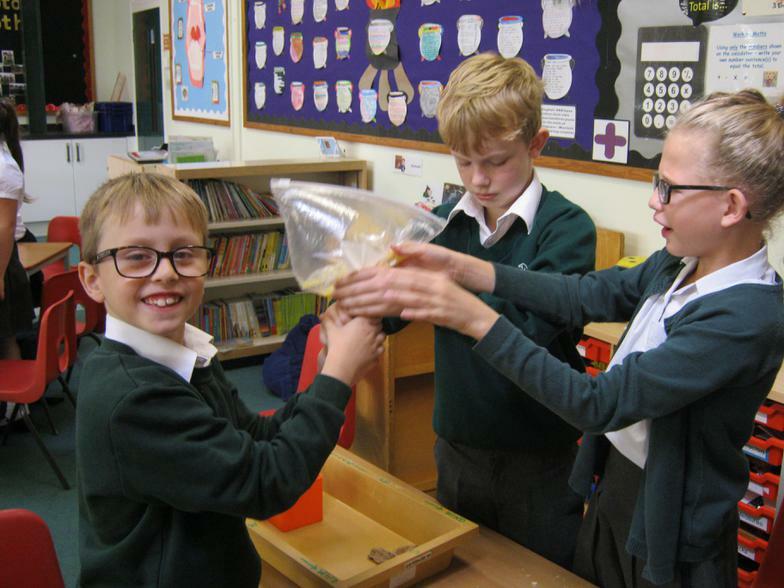 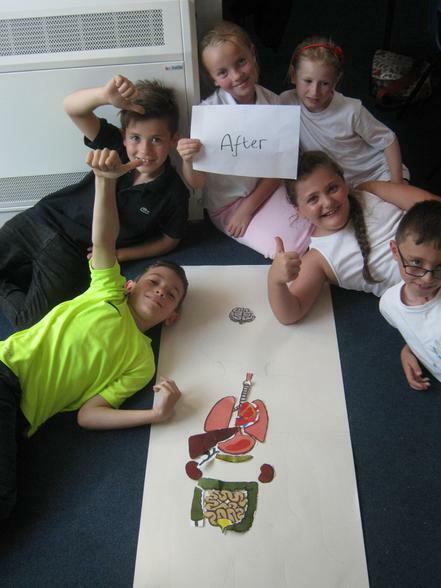 In year 4 we have been investigating the journey food takes in our bodies. 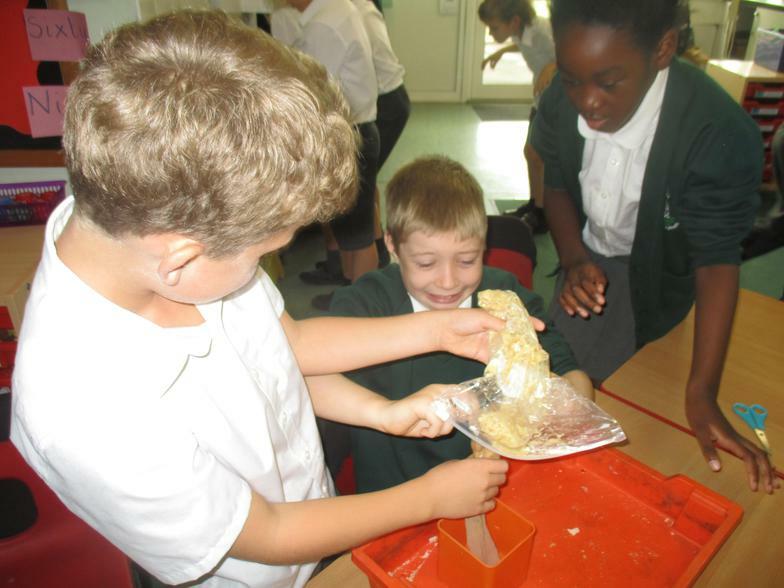 This was a very messy process - see pictures below. 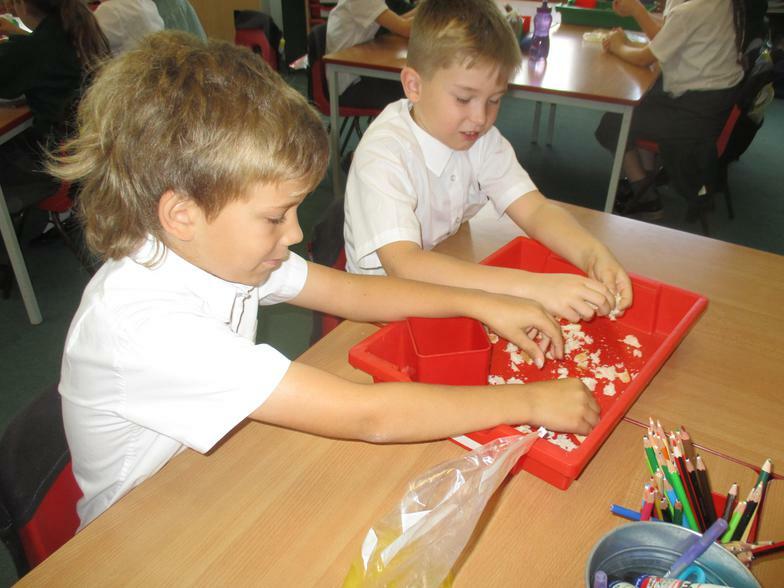 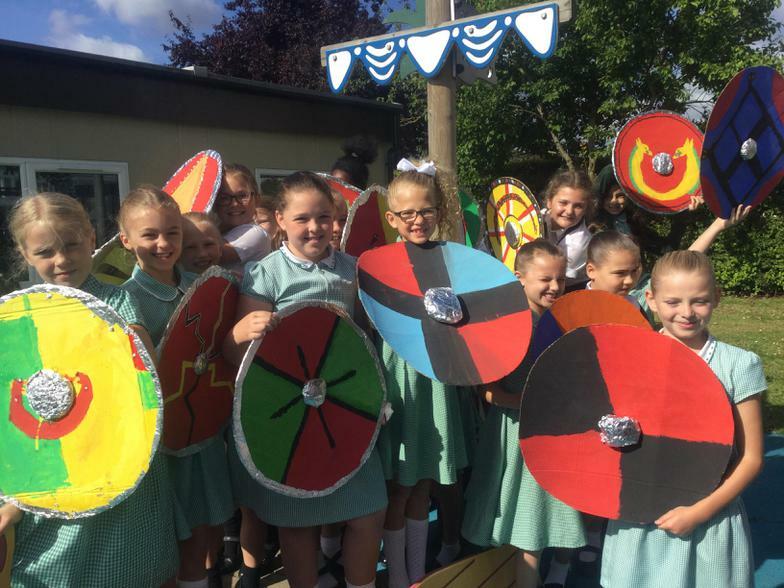 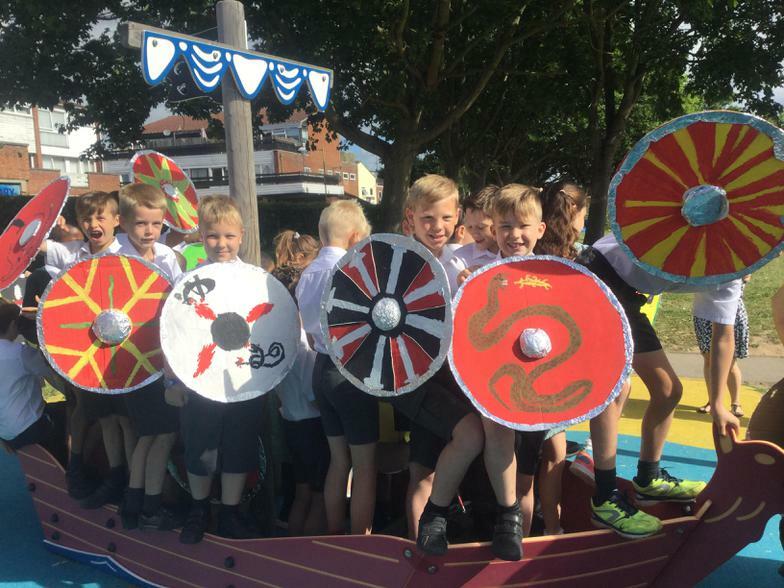 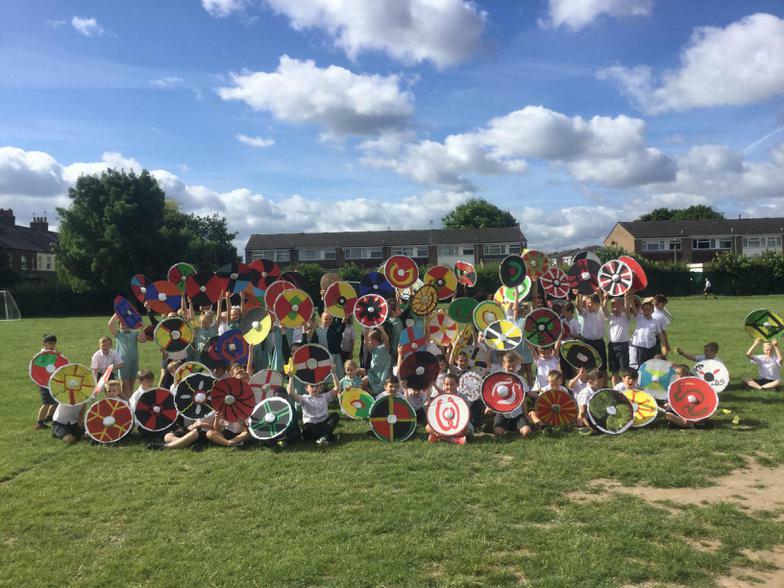 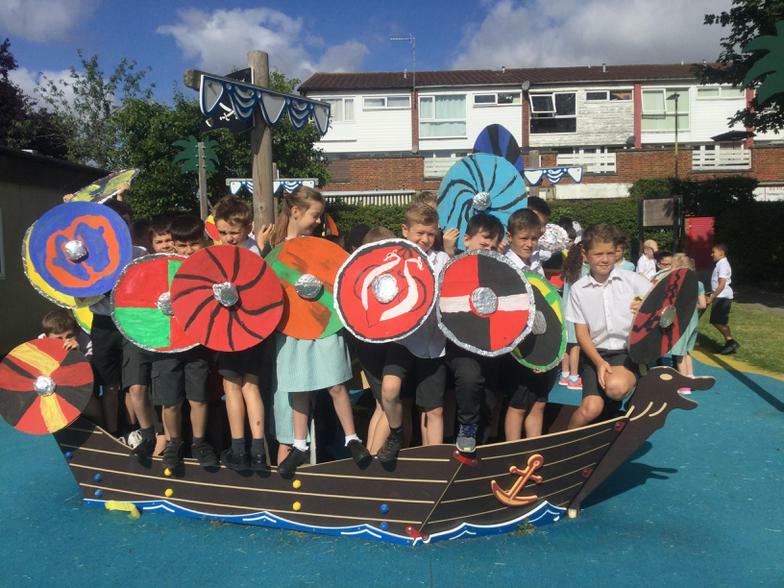 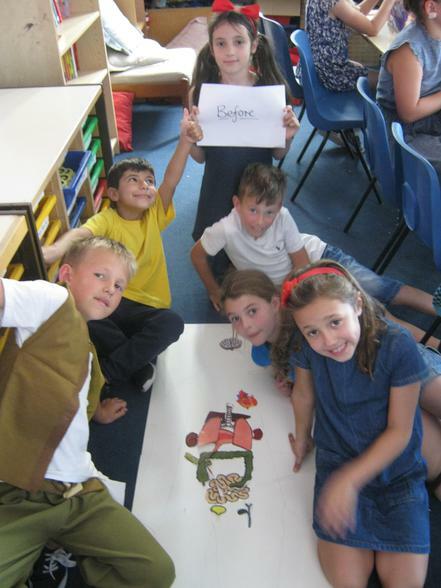 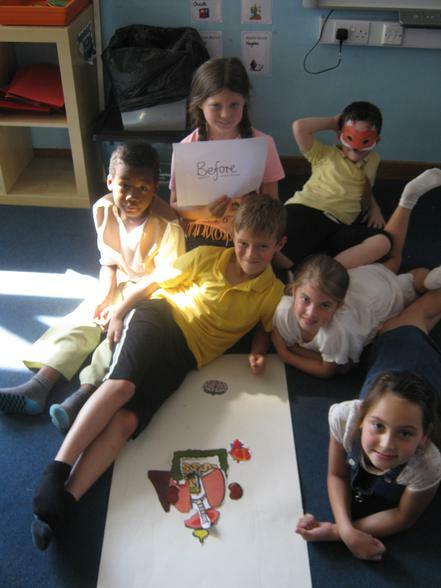 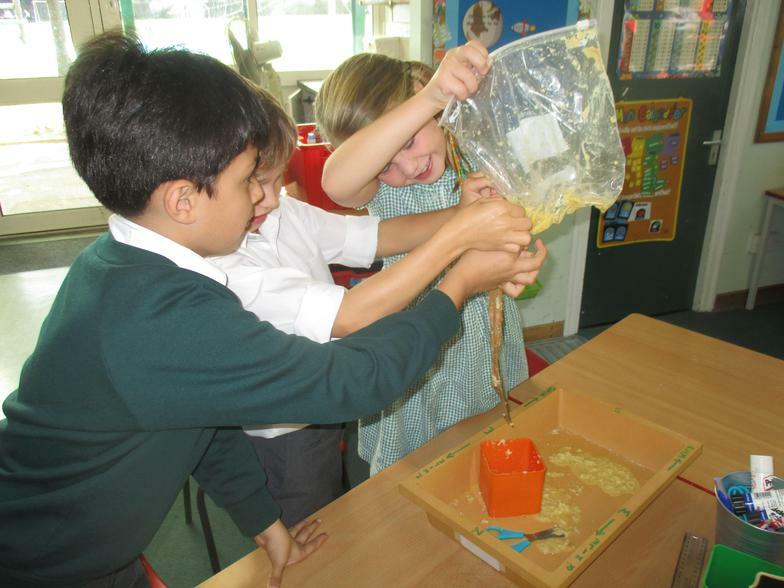 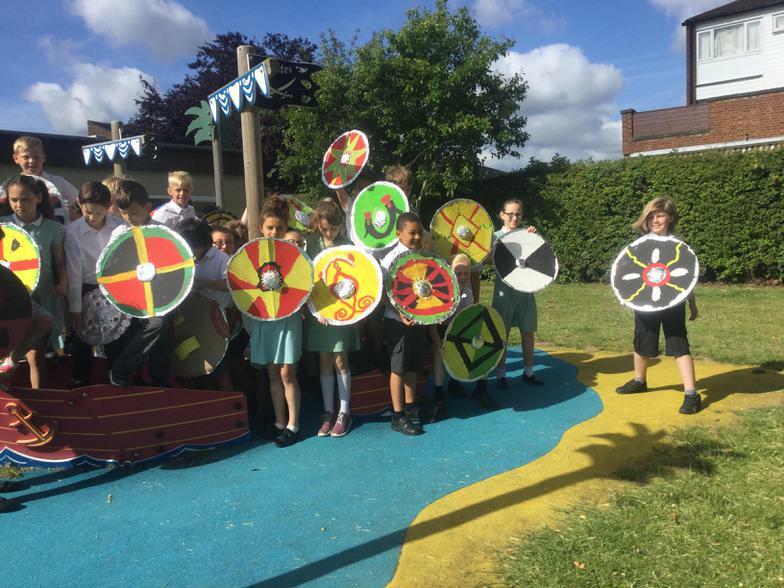 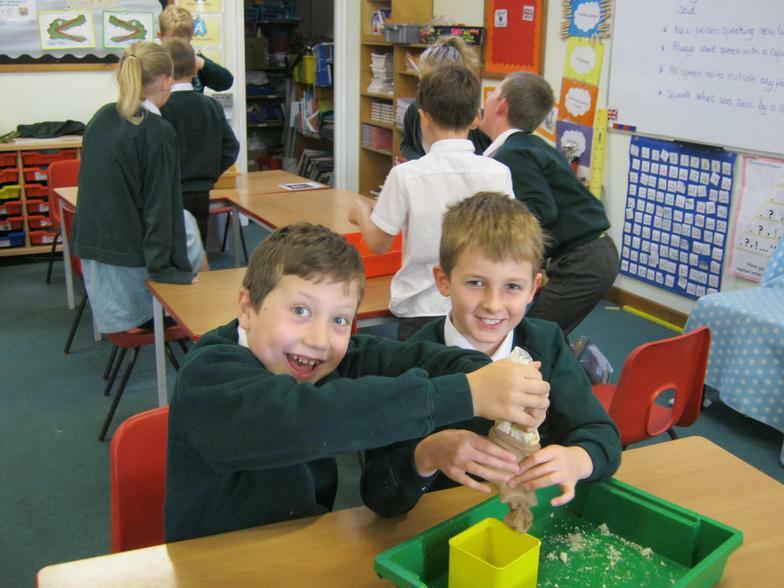 Year 4 have had a 'Phizz-whizzing' day celebrating Roald Dahl's 100th birthday!